Today I went to the Estonian embassy here in Madrid to pick up the digital identity card that identifies me as an Estonian e-Resident. It is absolutely amazing to have it in my hands at last. I had been looking for this for weeks. The e-Residency is a revolutionary program pioneered by the government of Estonia. It allows anyone to become a digital resident in the country, obtaining a digital ID card. Additionally, this ID card has associated a cryptographic chip that allows e-Residents to use Estonian public and private sector services and resources, and sign documents remotely, among other things. Basically, it allows you to identify yourself and operate remotely with all the Estonian electronic infrastructure. 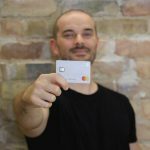 Why Becoming an Estonian e-Resident? 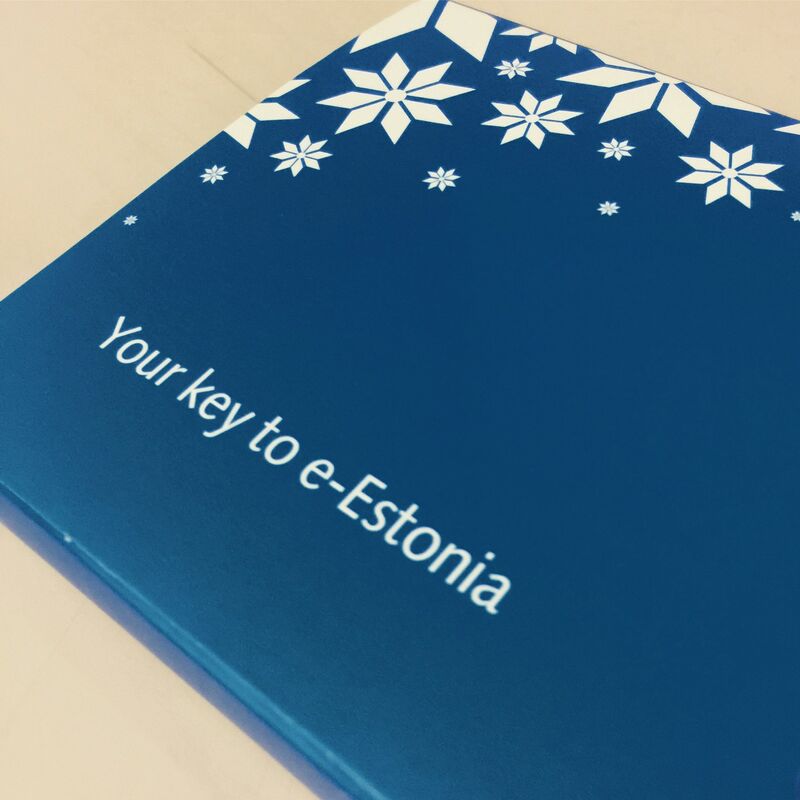 One of the main advantages of being an Estonian e-Resident is being able to open a company in Estonia. Furthermore, thanks to your ID card and the cryptographic chip, you can operate that company remotely anywhere in the world. Additionally, being founded in a European country, your company will have all the benefits of a European company. Obviously, this situation is ideal for startups. However, if you are a freelancer or a micropreneur, becoming an Estonian e-Resident gives you the freedom to become a digital nomad. This last scenario was especially alluring for me. 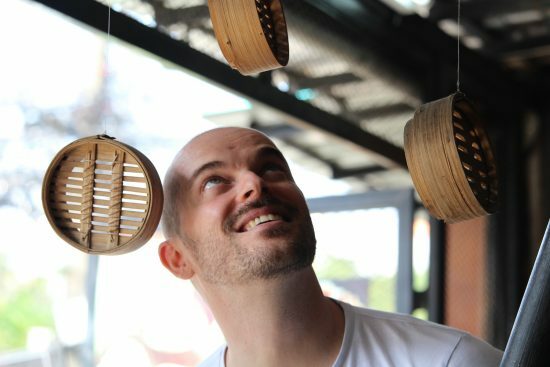 As you may know, I am in the process of decluttering my life and becoming a digital nomad. 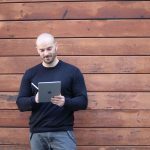 Even if you prefer to live a steady life, the e-Residency program and founding a company in Estonia can still be greatly beneficial. Why Founding an Estonian Company? I have founded several companies in the past here, in Spain. Not only the process is cumbersome, but you have to physically go to several places, including the tax office, the registration office, and the notary. You have to fill a lot of data, some of which is unclear unless you are a connoisseur of the tax laws. As an example, there are two separate lists of codes identifying the types of companies by occupation and professional area, and you have to choose one or more codes from the two lists for your company. Furthermore, both lists have different codes with different meanings. In most other countries, it doesn’t matter what your company does, and why should it? Once the company is founded, the financial paperwork to comply with the tax office is so obscure and complex, you need an accountant to do it. I certainly wouldn’t be able to make the regular taxes, income, and expenditure reports and have time -or sanity- left to do some actual work. What’s even worse, even my accountant confessed me sometimes that she was not 100% certain of whether some stuff was deductible or some operations were correct. And I know for sure that she is an expert in accountancy. All in all, it seems to me that the Spanish business system has been purposely designed to confuse people, and prevent them from simply paying their taxes correctly. From an economic perspective, Spanish startups and business are at a huge competitive disadvantage. Every professional or company owner has to register as an “autonomo” -freelancer- and pay a monthly fee. This payment is close to 300€ and, if you are the owner of a company like myself, it goes up to more than 340€ a month. You have to pay this fee even if you make zero revenue that month, just to have the benefit of working as a professional. As you can imagine, anyone willing to start a business in Spain starts with a negative toll he or she needs to overcome to start generating real revenue. Additionally, the tax system is, as I mentioned, completely obscure, to the point that I was never certain of why I was paying certain items or taxes. I paid monthly, quarterly and yearly, and had always the fear of doing something wrong, or deduct something I shouldn’t and be fined for it. If you are a professional, freelancer, designer, programmer or entrepreneur, this is utterly absurd. You just want to work, make customers, earn money and pay your taxes in a transparent way. Conversely, once you are a e-Resident, you can open and operate your Estonian company remotely. You don’t need to be physically present for any of the paperwork involved, and you just need to make a visit to the bank to open an account. Not only that, but you can skip this step completely under several circumstances, like if you are a mobile developer and earn money from the App Store, or you use Transferwise and don’t need a bank account at all. Furthermore, the tax system is absolutely transparent. Any person, regardless of their financial knowledge level, can certainly understand everything by just spending 1 hour reviewing the concepts and applicable fees and taxes. I certainly did. There is a number of companies that help you found your company in Estonia and take care of the taxes and accountancy for a small subscription fee. 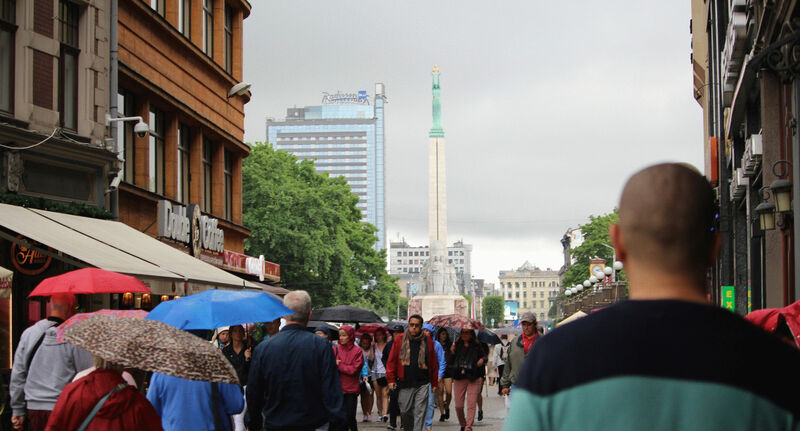 In this post, I talk about my experience with one of them: Your Company In Estonia. The process of becoming an Estonian e-Resident is pretty straightforward and starts with the application. To apply for e-Residency, go to the official government application website here. You will need to fill your personal information, add a copy of your passport or European ID card (if you are European) and a face picture. Last, but not least, you will have to do a 100€ payment. After that, you will receive a confirmation email. If there is something wrong with your application -i.e: your face picture is wrong or some information is incorrect- you will receive an email some days later asking you to resend this information. An important piece of information you need to specify is the location where you want to pick up your e-Residency card. There are embassies in many countries where you can do that. If you live in Europe, most probably your country has one. If not, you can always go to their offices in Tallinn. 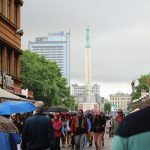 However, if everything goes well, some days later you will receive an email from the Estonian police informing you that your application was successful and that you are being investigated by the Estonian police. This is part of the process, and I guess its goal is making sure you are a “good guy”, and don’t have a criminal record or something like that. In my case, one week later, I received a confirmation that everything was OK, and that I’ve been granted the Estonian e-Residency. At that moment, your e-Residency card will be generated and sent to the location you selected in your application. 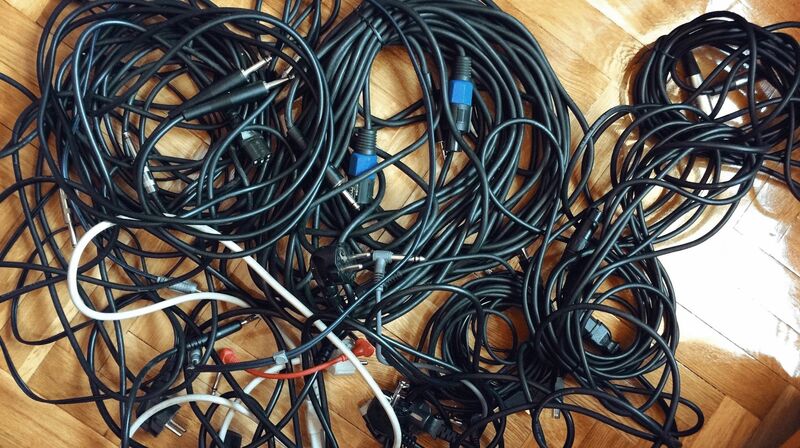 This is the longest part of the process. It took more than three weeks for my e-Residency card to arrive at the Estonia Embassy in Madrid. It was a long wait. I have to admit that once I knew I’d been granted the e-Residency, I was eager to start using it and found my company. However, it was certainly worth the wait. In the package, you get the e-Residency card with the cryptographic chip, a card reader, and some instructions including your PINs. One of them is the main one used to authenticate you. You need that one for almost every operation you want to do with the Estonian administration. The second PIN is used to sign documents. Lastly, there’s also a PUK you can use as a security token to change or unblock the PINs. 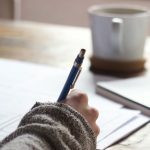 In this article, I described the process of becoming an Estonian e-Resident. This can be a game changer for you if you are an entrepreneur, freelance, digital nomad, or just a professional that works remotely. In a further article, I will talk about starting a company in Estonia making use of your e-Resident status. Have any question? Let me know in the comments. Really interesting article! thanks for sharing. 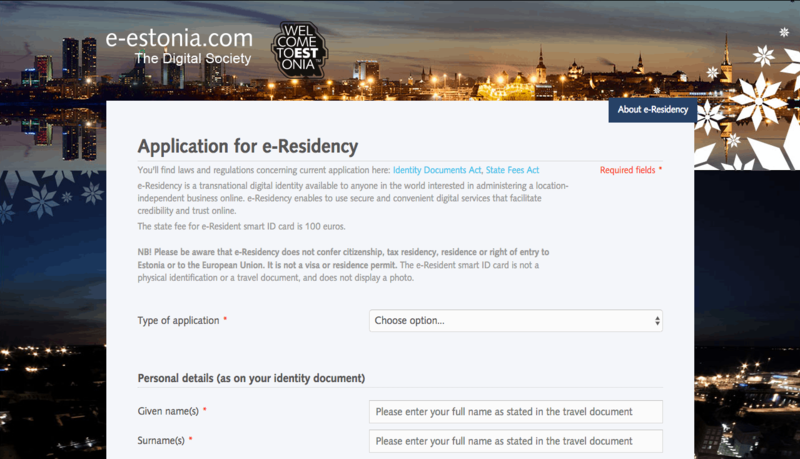 I was wondering if becoming an e-resident in Estonia can replace becoming a resident in a ‘real’ country? Or do you still need to be resident somewhere (even though you travel around and don’t reside anywhere). Thanks in advance for your reply! Thanks Alexandra. The e-Residency program is not a physical residency, so it does not give you any rights to physically reside in Estonia or any other place in Europe. That said, you don’t *need* to be a resident in any country to enjoy its benefits. wow….this is a really valuable article. I have my website, business plan and know what I want to do, but up until now, I have not manage to find a legal way to do that, because I do not have a stable residency. I knew Estonia is a really advanced digital society, but this program is just REVOLUTIONARY. Thanks for sharing this!